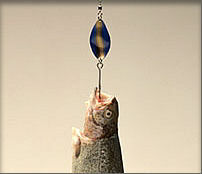 Wait until your customers see your lures finished with high quality G.J.Nikolas Co. coatings. Obtain outstanding results on lead, silver plate, cork, nickel plate and polystyrene. Perfect for balsa and other wood lures too!